Don't miss our event in Amsterdam!. After Iran and Turkey, a few weeks ago Saudi Arabia presented its Visions for the future, and our team considers it important to integrate the strategic developmental plans of the three major Middle East players in its anticipation work. on the other hand (and in a more optimistic tone) to note the public nature of those agendas allowing the players to sit at a table and talk about it. First, we will summarize the highlights of each of these Visions. Secondly, the risks of encroachment and collision are raised. The similarity of these three agendas provides a beautiful example of the dangers presented by the multi-polarization of the world and its major regions. At the same time, there is no doubt that having more global-sized players, who have no other choice but to deal with each other, provides the conditions for a new type of governance. 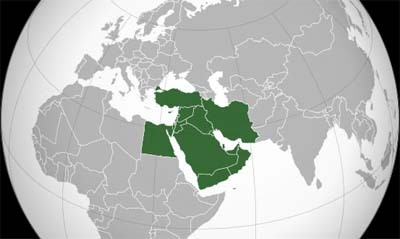 Figure 1  Map of the Middle East. Source: google map. Today, while chaos is reigning in Syria and Iraq, three major protagonists emerge from the conflicted Middle East: Saudi Arabia, Iran and Turkey, three states involved in the Syrian conflict, with common interests regarding the Islamic State, but having different reactions with respect to the Syrian state; three states which have recently launched themselves in the conquest of another dimension, that of the future, of their future and of the future of this wide Middle East region. The most striking is, of course, the one named Vision 2030?, a programme presented by Saudi Arabia in April, a model of its kind . First of all, it is about their survival and about taking their states out of the economic, financial and social crisis. For Saudi Arabia, it is about coming out of the oil era and about its launching into the exploitation of new resources; for Turkey, it is about getting out of the European bee-eater, while keeping its pivotal role of mediator between Europe, Asia and Africa; for Iran, it is about conquering the world in order to recover its place among the Middle East power states. Yet, it is also about creating room for the future of their political regimes, with all the faults they might have: absolute monarchy in Saudi Arabia, Mullahs regime in Iran, Erdogans leadership in Turkey. There is nothing better than projecting the immutability of state governance rules over 20 years. Yet, whether it is Saudi Arabia, Turkey or Iran, it is primarily about ensuring a predominant role for each of them in the future organization of their region. The oil era has just taken a sudden disturbing turn. The collapse of prices is not only the consequence of a decreased demand (to which the production decline has not been able to put an end), but a change in global paradigms. Indeed, during this global strategic retreat , the states seek to limit their dependence, including those related to energy: the United States became the first oil producer, thanks to the shale resources ; Europe turned to other sources (nuclear, coal, wind, solar and waterpower); new players have entered the market, including Iran. Burdened by structural debt, Saudi Arabia has to leave the petrodollar kingdom and diversify its energy resources. Some even predict the imminent end of this kingdom : the country introduced late in 2015, for the third year in a row, a budget deficit of 20% of its GDP , and the 2016 forecasts do not look much better . This state is burdened with debts, namely those of its princes. The reasons for this financial and economic downturn are, of course, the oil price collapse and also the astronomical costs of the war in Yemen . The war is a military and economic catastrophe, weighing primarily on the future of the younger generation  as well as on the risks of social blunders, particularly among immigrant workers (second class citizens . ), multi-polar. What is missing, though, is the politico-democratic aspect (and here comes the notion of effectiveness and efficiency of the geostrategic political system of the Kingdom, as well as its agile role). 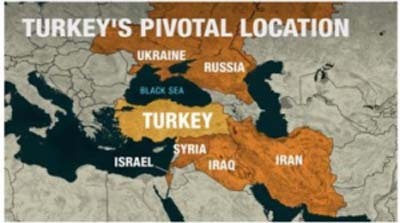 Turkey, a leading power in the Middle East, directly affected both financially and socially by the geopolitical instability of its environment (Syrian intervention and Kurdish crisis, terrorist attacks and tourism decline, Russian sanctions against Ankara, mass numbers of refugees costing it $10 billion  however has managed so far to maintain a moderate growth . After negotiating with the EU the sealing of its borders against the flow of refugees and the visa liberalization for its citizens, Turkey is turning its back on Europe (marked by the ouster of its too pro-European Prime Minister, Ahmet Davutoglu) . At the same time, it remains beneficiary of an important and traditional European financial windfall, which increased by six billion Euros with the refugee crisis in 2016/2017 (security has a price: Turkey is a direct step to the Schengen area in Europe and welcomes more than 2.5 million Syrian and Iraqi refugees , knowing that Lebanon welcomes only just more than one million and Jordan a little more than 600,000  figures which obviously need to be connected to the national populations of those states). and in the Islamic world [By creating an Islamic Mega-bank in Istanbul. .
Iran, with a population which is very young but growing in figures, frustrated by an unemployment rate of about 40%, with aging political leaders and systems, overnight has become an essential and central actor in the Middle East, imposing very serious developmental strategies. During the last national conference on geopolitical developments in West Asia, Iran confirmed its strategy of turning resolutely toward Asia and of forming a grand coalition with the Asian powers , Russia, China, India and Pakistan, reconsidering at the same time a rapprochement with Turkey . Iran is already one of the destinations of the Silk Road , a project which will fully root this country into the Asian continent. Iran plans to intensify its relations with India  and with Russia (through a channel-building project, connecting the Caspian Sea to the Persian Gulf ). Those are strategies relying on the multi-polar world, allowing the country to develop and avoid being trapped into an economy based on oil , but also to establish its leadership role and contribute, at the same time, to the emergence of conditions for regional stabilization and peace . Unlike Saudi Arabia or Turkey, Iran can rely on its new agile and flexible economy, thanks to the fact that it does not systemically rely on the dollar world. The Visions 2030 are presented as scale model economic, financial and technological projects, intended to ensure the development of the countries concerned. They are primarily conceived as bringing these countries into the G10, G20, at the global level, transforming them into major continental powers to take into account when speaking of geopolitical relations in the world. we are facing here powers which own the means and tools meeting the new paradigms of the twenty-first centurys modernity. The political and democratic aspects need some facelifts in order to allow people to join: Saudi Arabia is currently renewing its political class  by planning before 2020 the training of more than 500,000 civil servants  and by implementing a wide system of NGOs and volunteers who will support the Princes entire visionary project . As for the democratic future of Turkey or Iran, the systemic changes will not be able to ensure the economic sustainability and the social stability without democratization. Moreover, the regional aspirations of these three players will imply that they also become political and social stability models. Unless there is a wish to build an empire, and thereby perpetuate the logic of war, people cannot guide the world without respecting the rights and freedoms of others. Thats the whole point of the multi-polar world, in fact. If these programmes are part of the movement named the great global strategic retreat, as mentioned in our previous bulletins , it is clear that they must incorporate and get integrated into the multi-polar reality of the world, a multi-polarity which also applies to the Middle Eastern region. We therefore have three states claiming the same central position, the same pivotal role connecting three continents, Europe, Asia and Africa, counting on their preferred networks and partners. 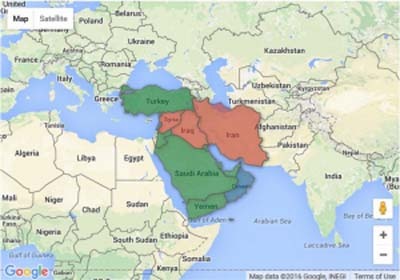 Saudi Arabia uses the Egyptian support, Iran uses Asia, and Turkey uses the European platform. Placed at the heart of the Middle East tinderbox, directly involved in the conflict against the IS, Riyadh, Ankara and Tehran are armed to the teeth. The defence and arms budgets explode in Saudi Arabia, due to the Yemen war. Erdogan in his fight against Daech is being forced to cooperate more with his army (the eighth army in the world and first in the Middle East) and thereby enables the military power to regain control of the Kurdish politics of Turkey. The war against the PKK in the Kurdish region has produced more than 500,000 internal refugees , increasing internal chaos, civil war and riots. As for Iran, while signing military procurement agreements with Russia , the parliament has, in the same spirit, given the green light for the countrys new defensive capacity building programme, by allocating 5% of the total budget to the financing plan of the Iranian defence complex . We could legitimately worry about the military face of the three states, especially since their 2030 agendas clearly show that this entire military arsenal is intended to be produced by each of the three countries, in order to avoid any dependence on international contracts. In 2030, arms dealers will have to worry, because most probably each state will be able to produce its own weapons and launch its own high-tech drone squadrons into the air, but especially international organizations should worry about such deployment of risky and uncontrollable death producing technologies. The same status is given to Erdogans Turkey, which occupies the best place for the East-West and North-South relations, meaning a market of 1.5 billion consumers in Europe, Eurasia, the Middle East and North Africa , willing to host in Istanbul in 2020 the Islamic Mega-bank . There is also Rohanis Iran, which claims to be part of the Muslim world  and projects itself into an Asian space. As we have seen it above, Saudi Arabia uses the Egyptian support, while Iran uses Asian support, and Turkey is using Europe in its favour. Yet, all of them are addressing the entire Muslim or Islamic world, eyes pointed to the Middle East, this land which has continued to survive the upheavals of history, lining up one conflict after another, until this common enemy, and hopefully the last, Daech, an enemy bringing chaos in the Arab, Muslim, all-faith, all-sect, all-everything worlds. Upon this community of interests, tempting Saudi Arabia, Iran and Turkey to become each the major player in the region, a new Middle East will emerge, open to multi-polar perspectives, to Asia, Russia, Europe, but also Africa, the latter firmly focused on its elder brothers creating more hopes around them than around the former colonizers and neo-colonizers . Nevertheless, one more black hole should be avoided: the return of a US policy which has forsaken the land of the Middle East during the presidential campaign (a 6 month break, already) and has allowed Obama to finally implement his own geopolitical strategy, by defining himself the enemies or friends of the United States. In November, all this might change. Whether we are talking about Hillary Clinton, the well known anti-Iranian candidate, or Donald Trump , who continues to lambast Obama for abandoning the friends of the United States (Israel, Saudi Arabia), while at the same time he is threatening them to ask for explanations (mostly from the Muslim or Islamist friends), the risks of new upheaval partnerships, with new chaotic perspectives in this region, are higher and higher. Only then will long-term perspectives for the region really be determined. Yet, we feel that the players are tired of waiting for Godot, and that their young populations aspire to other horizons, with the risk of falling into another dimension. The Middle East region should finally enjoy the momentum and consider now its own pacification tracks . The entire English text here Al Arabiya, 26/04/2016. According to the GEAB 101, 15/01/2016. Source: Le Saker Francophone, 06/03/2016. Saudi Arabia is sinking in its budget deficit. Source: Les Echos, 28/12/2015. The debt grade was lowered to « AA- ». Source: La Presse.ca, 12/04/2016. Source: Opex, 29/12/2015. Leading weapon importer in the world, Saudi Arabia dedicates a quarter of its budget to the states defence and security, meaning 10.7% of its GDP. Source: La Banque Mondiale. Three quarters of the population is less than 30 years old and 60% less than 25 years old, the demographic curve going up. Source: United Nations, Demographic Components of Future Population Growth. Considering the violent riots of the 50,000 foreign employees of the Bin Laden Group who were asked to pack and leave the country, knowing they had not been paid for months. Source: Middle East Eye, 01/05/2016. By creating an Islamic Mega-bank in Istanbul. Source: NEX, 13/05/2016. Similar title, the Arabian Business, 11/03/2016. Germany is the first recipient and should benefit from the Iranian exports of 2 billion Euros over 2015-2017. It is followed by France, Italy and the UK. Source: Le Monde, 25/01/2016. First Chinese train arrived in Teheran on February 15, 2016. Source: Europe1, 15/02/2016. Source: Times of India, 01/05/2016. Irans sustained prosperity must be built on a non-oil economy. Source: Mehr News, 01/05/2016. Mohammed Ibn Salman Al Saudi, Vice-Heir Prince, Minister of Defence, Second Vice-Prime Minister, President of the Economic Affairs Council, in charge of the oil and economic policies of the Kingdom, is only 31 years old. Source: Wikipedia. Another example would be the Oil Minister Ali al-Naimi, 81 years old and having ruled for 21 years. Source: SZ.de, 10/05/2016. And here, before the « hard-landing » of Saudi Arabia or the integrant spirit of Iran. Source GEAB 101, 15/01/2016. Read also « Les dépenses mondiales darmement senvolent ». Source: LEconomiste, 22/02/2016. Source: Tribune de Genève, 09/05/2016. In 2013, we were asking ourselves about the origin of these weapons. Source: BBC, 06/11/2013. Old information, true, but why would the situation have changed after all? Source: Sortir du nucléaire, 10/09/2010. Turkey, Vision 2023. Source: Foreign Affairs, 2013. Iran does not want a Shiite « croissant », it believes in the « Muslim moon ». Source: lOrient le Jour, 22/04/2016. In the Middle East, as in North Africa, the 2030/2036 agendas are welcomed with interest, for instance in Algeria. Source: La Tribune, 27/04/2016; Kuwait: « Vision 2035 ». Source: Podcast Journal, 09/05/2016. The Middle East can break free of Western hegemony and internal ills. Source: MiddleEastEye, 26/04/2016. Read also: THINK AGAIN: Egypt looks South, finally. Source: ISS Africa, 28/04/2016. The GEAB, LEAPs confidential letter is a monthly bulletin available under subscription. Its contents are not made available to the public until three months later. We offer you the access to this exclusive article from Mays bulletin (GEAB n°105). If you want to read our articles in real time, subscribe to the GEAB! Terence McKenna (1946-2000) is an American ethnobotanist, psychonaut, lecturer, author, and an advocate for the responsible use of naturally occurring psychedelic substances. Thinner than plastic wrap and lighter than a feather, electronic skin, also known as smart skin or imperceptible electronics, detects information about the internal and external environments. Such technology has been in development for wearable medical instruments, health monitors, prosthetics with sensory feedback, and even robotic skin. Now, scientists are expanding electronic skin into the realm of the once-impossible: endowing humans with a sixth sense. This report brings together evidence about todays older population, with future trends and projections, to identify the implications for the UK. This evidence will help government to develop the policies needed to adapt to an ageing population. A forest can be cleared quickly using the right kind of equipment  if you only have one chainsaw it takes a little bit longer. In a wheelchair the lumberjack would not even get to the first tree. At the Rehacare in Düsseldorf, companies are demonstrating how to solve this problem. Back into the job after having an accident with consequences  and were not only talking about desk jobs here. In this intriguing book, evolutionary biologist Scott Solomon draws on the explosion of discoveries in recent years to examine the future evolution of our species. Combining knowledge of our past with current trends, Solomon offers convincing evidence that evolutionary forces still affect us today. But how will modernization - including longer lifespans, changing diets, global travel, and widespread use of medicine and contraceptives - affect our evolutionary future? Solomon presents an entertaining and accessible review of the latest research on human evolution in modern times, drawing on fields from genomics to medicine and the study of our microbiome. Surprising insights, on topics ranging from the rise of online dating and Cesarean sections to the spread of diseases such as HIV and Ebola, suggest that we are entering a new phase in human evolutionary history - one that makes the future less predictable and more interesting than ever before. 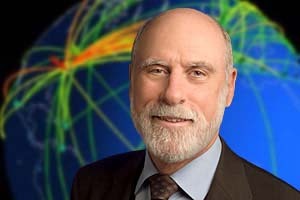 Vint Cerf is vice president and Chief Internet Evangelist for Google - "advocate of expanding internet to entire world population; work to find new technologies relevant to Google; serve as "intellectual bumblebee" among the remote engineering offices; participate in policy development and advocacy." 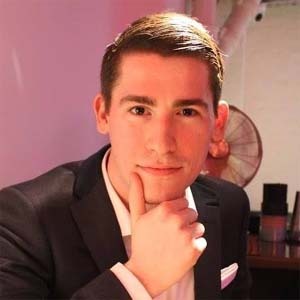 He contributes to global policy development and continued spread of the Internet. Widely known as one of the "Fathers of the Internet," Cerf is the co-designer of the TCP/IP protocols and the architecture of the Internet. He has served in executive positions at MCI, the Corporation for National Research Initiatives and the Defense Advanced Research Projects Agency and on the faculty of Stanford University. Cerf is a recipient of numerous awards and commendations in connection with his work on the Internet, including the US Presidential Medal of Freedom, US National Medal of Technology, the Queen Elizabeth Prize for Engineering, the Prince of Asturias Award, the Tunisian National Medal of Science, the Japan Prize, the Charles Stark Draper award, the ACM Turing Award, Officer of the Legion dHonneur and 25 honorary degrees. In December 1994, People magazine identified Cerf as one of that year's "25 Most Intriguing People." "There was something amazingly enticing about programming," said Cerf. "You created your own universe and you were master of it. The computer would do anything you programmed it to do. It was this unbelievable sandbox in which every grain of sand was under your control." The internet is a reflection of our society and that mirror is going to be reflecting what we see. "Science fiction does not remain fiction for long. And certainly not on the Internet." "I'd like to know what the Internet is going to look like in 2050. Thinking about it makes me wish I were eight years old."